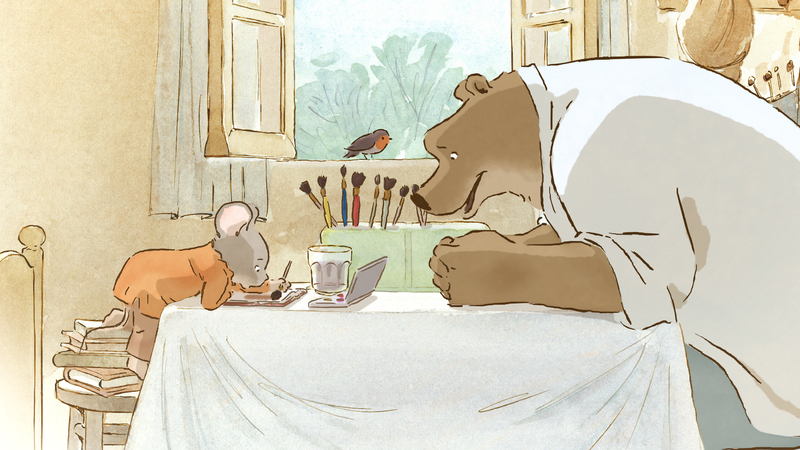 “Ernest and Celestine”: Bears and mice, living together — mass hysteria! “Ernest & Celestine” has its Madison premiere at the UW Mini Indie Film Festival on Saturday, Nov. 22, at 2 p.m. in the Union South Marquee Theatre, 1308 W. Dayton St. FREE! G, 1:20, three stars out of four. I like “Lego Movie,” “Big Hero 6” and the other IMAX 3D computer-animated spectacles that are the standard for animated movies these days just fine, but every once in a while you crave something different. The Oscar-nominated Belgian film “Ernest & Celestine” is that something different. Stephanie Aubier and Benjamin Renner’s film eschews sleek computer animation for hand-drawn watercolors — in glorious 2D. The colors are bright, and the characters are limitlessly expressive with just a few carefully placed strokes. There’s a lightness and a grace to the animation here that we don’t get to see much in the movies these days — it looks like a beloved storybook. 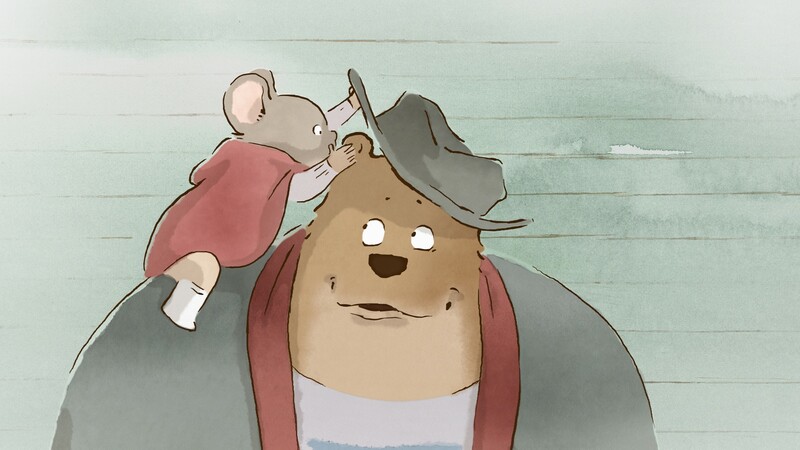 But here’s the rub — while “Ernest & Celestine” may look precious, it’s not. It’s actually very funny, a little strange, and completely engaging for kids and adults alike, with laugh-out-loud moments that recall the best-drawn “Looney Tunes” cartoons ever made. Dubbed into English with a cast of instantly recognizable voices, it’s a lot of fun. In the world of the film, you’re either a bear or a mouse. The bears live aboveground like humans, driving cars and running pastry shops in picture-postcard French villages. The mice live belowground, terrified that the bears will eat them. But occasionally they have to venture aboveground to play Tooth Fairy and steal the baby teeth of baby bears from under their pillows — the mice need those teeth to replace their own incisors. Told you it was a little strange. On one aboveground excursions, plucky Celestine (Mackenzie Foy) is captured by Ernest (Forest Whitaker), a hungry bear who makes his living as a one-man-band panhandler. After a little caution and misunderstanding, Celestine and Ernest become friends, hiding out together in Ernest’s remote cabin. But their friendship is put to the test when each is captured by the others’ species and put on trial. Paul Giamatti and Jeffrey Wright play the judges, and you can also hear Nick Offerman, Megan Mullaly and William H. Macy’s voices in there. The visual gags are sly and unexpectedly sophisticated, like the mice using old mousetraps as exercise equipment, and the filmmakers find great comedy playing Celestine’s delicate petiteness off against Ernest’s endlessly malleable bulk. The lessons of tolerance and acceptance are there but not overplayed, and the film leaves you with a warm feeling. Best of all for parents is the news that there’s a whole series of “Ernest & Celestine” books out there just waiting to be discovered.